You name it . . . we got it! All Brands!!! The tune up service is our most common call and it fixes 90% of most door issues, if you haven't had this type of service in the last 3-5 years you need it. We warranty our labor on this for 1 year. Parts not included. This service takes approximately 30 minutes. The Torsion spring is a part that lives in a cycle life, what you have is broken - what you'll replace it with will eventually break too. If you have 2 springs it is necessary to replace both of them. The standard spring on our market is a 10,000 cycle part, you'll see warranties on this from 1 to 3 years w/ an expected life of approximately 3-5 years. Our spring is a 15,000 cycle part w/ a 3 year warranty and an expected life of 5-7 years. We warranty our labor on this for 1 year. 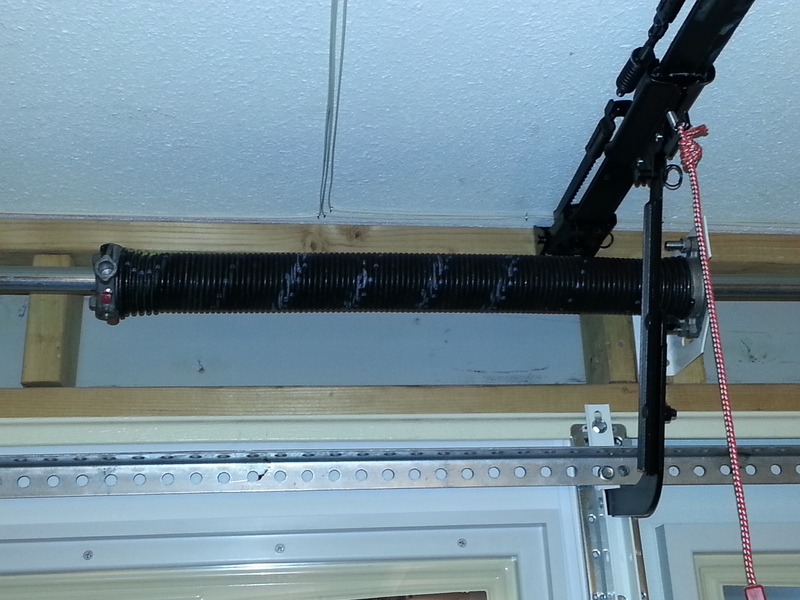 The extension spring can be a dangerous spring mechanism, when it breaks it can go flying across the garage and smack the wall, the car or other. Extension spring replacement comes w/ a safety cable to prevent this from happening. You must replace both springs. Another thing to consider is the 3" sheave wheel that hangs off the end of the spring, this is worn on most occasions, this is what the cable pivots on and is critical to how smooth and fluently your door opens and closes, there are 4 of these per door and the wear is easily identified by looking at the bearing race - one side will be tighter than the other. Our sheaves are riveted - not pressed like you see in the stores. All services come w/ a 1 year guarantee on labor. Call for a free service estimate right over the phone. If you have extensive service needs or damage issue's we offer a free written estimating service.